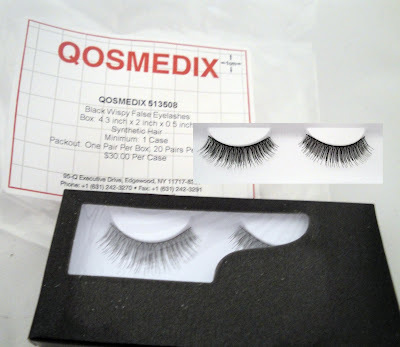 Home false eyelashes Review - Qosmedix False Lashes - Bulk Discounts! I'm back with another product review! This is long overdue but I'm finally getting my post up on the Qosmedix False Lashes I received a few months ago. These were even featured in my August Favorites. I've already featured Qosmedix as the go-to-site for makeup artist disposables (even KJ Bennett tweeted about this!). 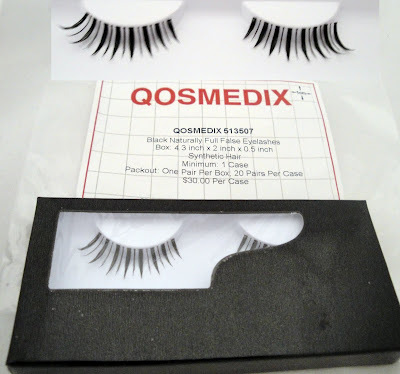 They also have a great line of False Lashes at an amazing price. 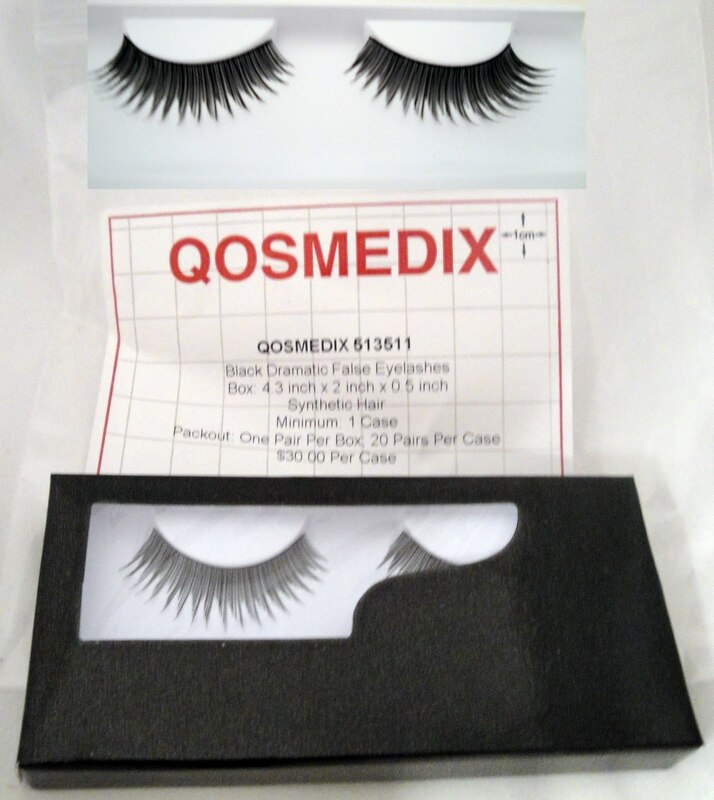 False Lash junkies keep reading! Interestingly enough the lashes are all synthetic. However, they look completely real. They don't have the shiny plastic finish I've seen before. They're extremely light weight and look great on. 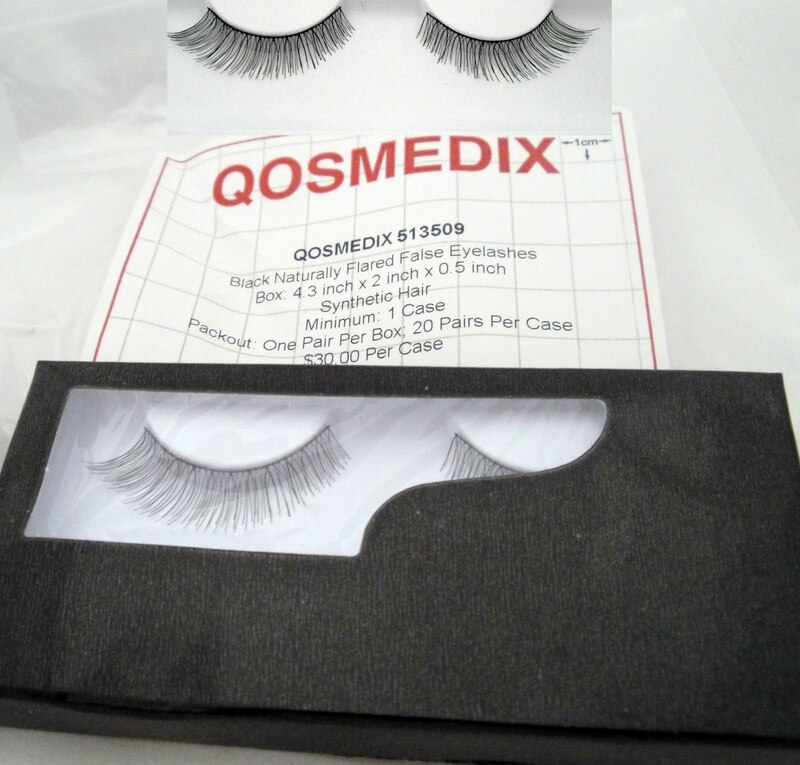 You'll notice that the lashes are also sold in bulk (as all items on the Qosmedix website) which is how you end up getting a great deal. This first set looks surprisingly natural on. 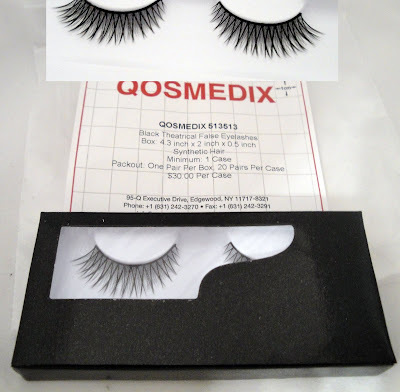 The thick base gives you fullness and the tips blend right into your lashes giving you flirty length. These are great for a boost of volume. This is definitely my style of lashes. I love the criss cross effect and they definitely have a lot of fullness, which makes them show up more and even easier to apply. However, I did find this to be the least comfortable pair due to the thicker lash band. If you're a makeup artist, having individual lashes are a must-have. These are great for clients who have a problem with the heavy feeling of false lashes. 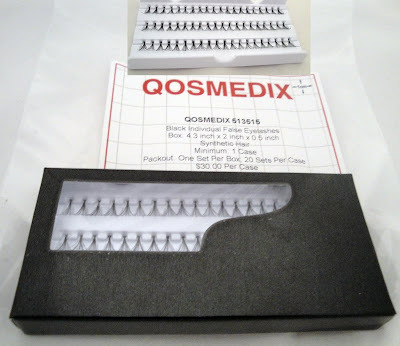 They look extremely natural and they can also be layered on top of strips for extra emphasis. I got the medium length which I used most often paired with short. These were my favorite lashes in the bunch. They look amazing on! I usually need more density and volume in my falsies for them to show up on me, but these blew me away. They were super light but you could still see them due to the curve of the lashes. These are my second favorite. You again get volume at the space with some flirty tips for length. Great for bridal. Qosmedix also has a super affordable eyelash curler for $1.15. It works decently, but it does pinch my eyes if I'm not careful. I prefer my Shu Ueumura...it's a lot more expensive but never pinches my smaller, Asian eyes. However, if you need a couple of extra curlers for your kit, you can't beat this price. 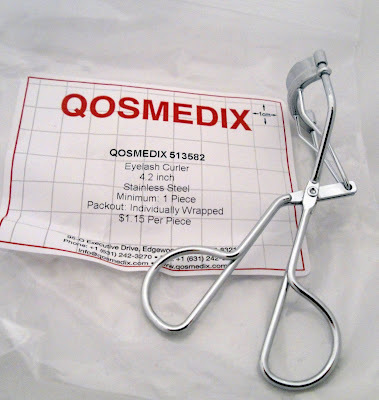 You can find these items at www.qosmedix.com Where you can order a catalog, browse online and then order via a customer service rep.
FYI, since this is a professional supplier they typically require a tax id number to sell to makeup artists. However, the company told me that those without one (including myself) can call customer service and still order. You can use your social security number instead. Hope this helps! im so looking forward to getting stuff from them. im just trying to make sure iv everything in place.